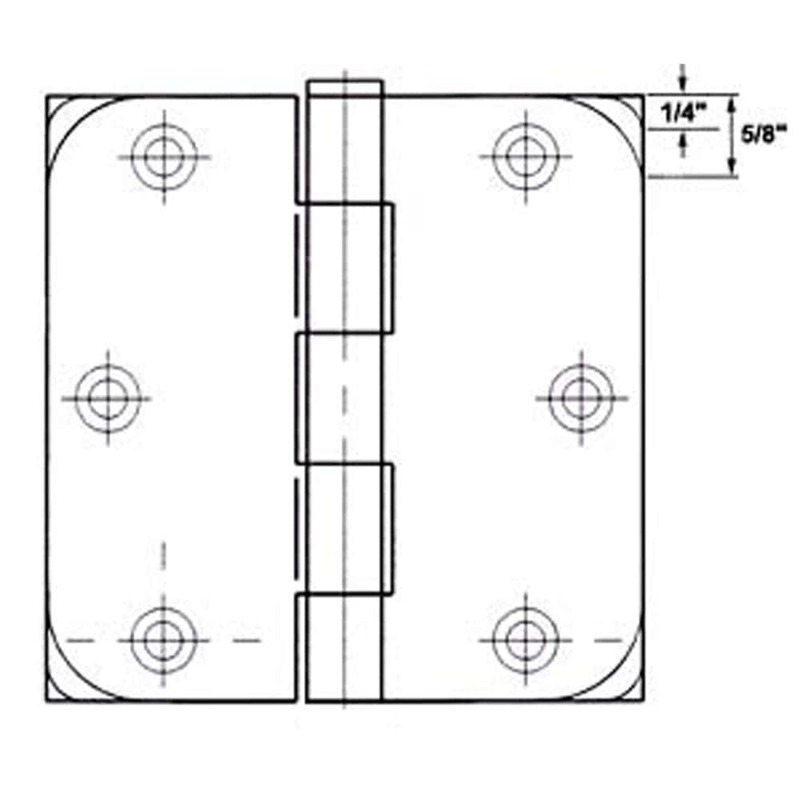 GlideRite Hardware brand ball-bearing residential door hinges are available in both 3-1/2-inch & 4-inch sizes with choice of 1/4-inch & 5/8-inch radius corners. Hinges come fully assembled with matching screws. Pins are removable with a punch and hammer. 5 based on 6 reviews. Leave a Review. The folks at Gliderite were very responsive to my initial questions. Ordering was easy on their web site and offered a quantity discount. The order was shipped quickly. Hinges were individually wrapped and came with plenty of matching screws. I'm very happy with the fit and finish and the ball-bearing hinges are very smooth. And... the price was a lot cheaper than the big-named hardware stores. Thanks Gliderite! Just what I needed. GlideRite provided one extra hinge just in case one of the 33 hinges I ordered was flawed. One was but I used it anyway in a closet. The hinge is great. My hinges would squeek and I could not stop them from doing that. I bought one to see if it was a good fit and it was. Then I bought a box of 100 to replace all my hinges - They make no noise. oil rubbed bronze coloring was great, and the hinge has a nice ball bearing, with nice glide. Order a 30 pack, still says 12-pack, but you will get a 30 pack. Watch the size and radius, my house used a couple different sizes. Check all the doors, don't assume they will all be the same. The hinges do ship dry. Not a big deal to pull the pin and put your favorite grease in the bearings. Ball bearing hinges are smooth, noticeably less friction than traditional hinges. On my 3rd order, just finishing re-hinging the whole house. And affordable enough you can re-hinge the whole house. I was extremely pleased with these hinges. They fit perfectly in the existing cutout and the screw holes. The color was oil rubbed bronze as shown. The screws were maybe 1/8" longer than the older ones. The bearing design was used because the doors were taller and required four hinges. The bearing just helps with the extra weight of the door. Now they don't squeak. Thanks!